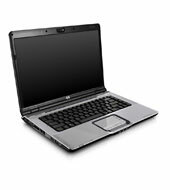 The HP dv6000z has lots to recommend about it. It has a very attractive look with HP's new Imprint Finish. The Turion64 X2 provides decent performance and multitasking. It has all the connection one could ask for and has a marvelous glossy screen. The big question for it is going to be price. Configured at a price of $1491 before tax, it is venturing into the world of the Fujitsu N3000, Compal HEL30 or even the HP's nc8430 which offer better specs or quality for near the same price. It is certainly possible to get this notebook in the $1000 range by not choosing all the upgrades. If one can keep the price down, I think it makes a very good option for a multimedia DTR that can travel bit.